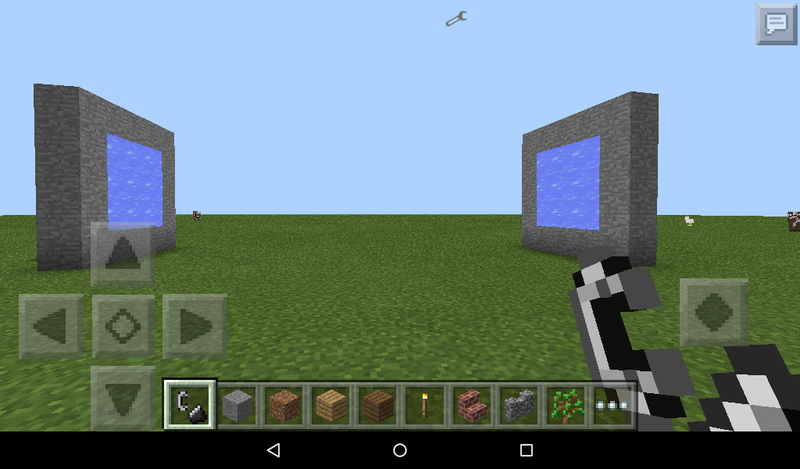 1.Tap on the bottom-left or bottom-right corner block with flint & steel to activate the portal. 2.Go to some other place and create another portal. The choice of block can be any type you want. Then tap on the bottom-right or bottom-left corner with the flint & steel to activate the second portal and the two portals will be connected as a pair. 3.Whenever you walk through either of the portals you will be teleported to the other. 4.It is possible to create several synced portals. But you also need an even amount of active portals for them to work. Like, it’s not possible to have just three active portals because then the third one won’t have a portal to be synced with.